32Red's Poker Masters 2005 series continues this Sunday, November 27th, with a $22 buy-in at 9pm GMT (10pm CET). Enter it, and you could be one of three qualifiers to the 32Red Poker Masters Grand Final on Sunday, January 8th 2006. The winner of that wins $8,960 plus a holiday for two people in Las Vegas! Even if you miss out, the next 14 places in the Grand Final pay cash prizes up to $6,400 so 32Red are clearly doing all they can to get their players paid. After the November qualifier, there will be just the one qualifier left to play. This will be in December so it should pay to get in now and give yourself two stabs at it. At $22 a throw, the attractiveness is clear to see. Apart from grabbing the chance to hit the Las Vegas trail, signing up to the 32Red Poker Room offers plenty of other opportunities to the discerning poker player. 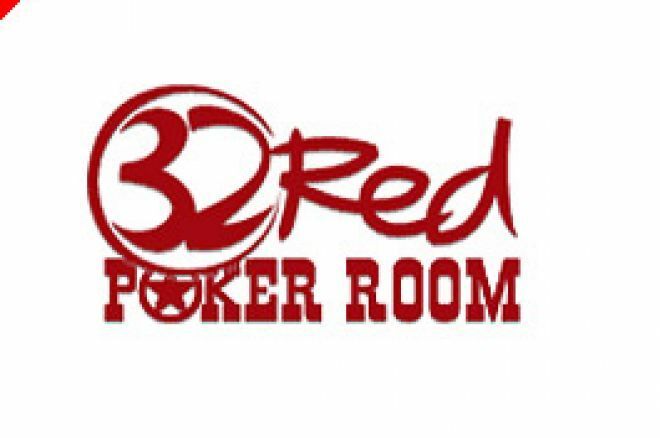 A good poker room offers action on tap and 32Red is up to the task as it gains you access to the tables of the Prima Poker Network which has over 400,000 registered players guaranteeing its members round-the-clock action across a wide range of stake levels. You'll even find some top professionals lurking about ready to give you a game from time to time. I thought I would finish with a small story. While I was down in Italy recently with my UK Poker News colleague, Paul Sandells, for The Amalfi Open, we met a young player called Stuart Rutter. He told us he was soon to play The Monte Carlo Millions tournament with a $25,000 buy-in! We didn't like to ask at the time but the fact is he gained that seat by qualifying on-line through 32Red Poker! So, there you have it. It can be done and I have met the living proof. There are just two days to get into Sunday's qualifier at 9pm GMT. Someone has to win and it could be you that announces a surprise holiday in Las Vegas to the person who will accompany you!